Michael is tired, and old, and wants to change, but he can't, and eventually he grows to accept and even enjoy that. Franklin is smarter than his surroundings, dreaming big but held back by old fashioned ideas. Trevor is hilarious, surprising, and a disgusting degenerate. All three characters, in their respective ways, feel representative of the Grand Theft Auto series as a whole, and contribute to making GTA V what it is -- the ultimate culmination of Rockstar's beloved and despised series. Personally, I think that's a fine thing to be. At times, it feels like it was made in a vacuum, away from the influence of other games. But while you could certainly pick out a handful of individual systems or design choices that feel like they've been handled more intelligently elsewhere, none of those other games bring together so many interesting and disparate systems with the same level of aplomb on display here. 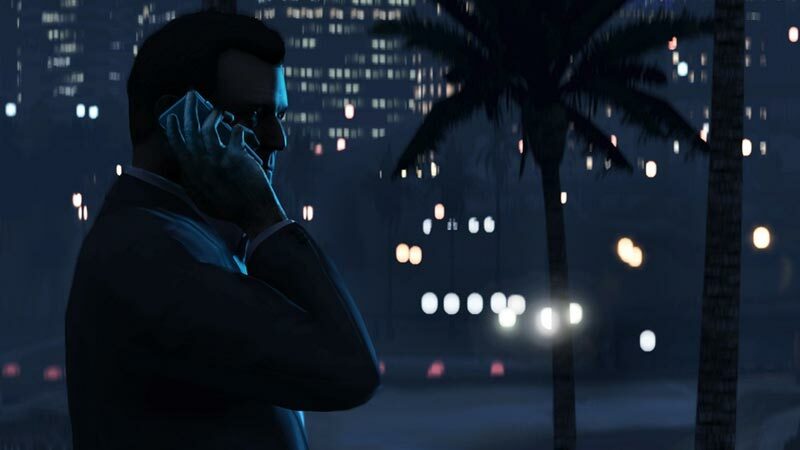 That, combined with the game's unique multi-character approach to storytelling, makes Grand Theft Auto V an exciting successor in the long-running franchise. There are still a few things GTA could do better, but the overall package is amazing. That said, it's getting harder and harder to continue to care about living the criminal life, and with the wealth of extra-curricular activities included this time around, you can almost sense Rockstar has greater ambition than being the best at bad guy games, too. Still, Grand Theft Auto V is an incredibly fun and immersive experience that shouldn't be missed. Rockstar has defined a genre so well this time around, it will almost be impossible to top. Then again, Rockstar has never shied away from outdoing itself before. Quite honestly, writing a review for a game of this scope is almost impossible because no matter how many words I type I feel as if I’m barely scratching the surface of what you can do. Whether you’re a fan of open world gameplay or not you owe it yourself to at least try this game as you might very well be surprised with how much you love it. Bottom line, never before has it been this good to be so bad. 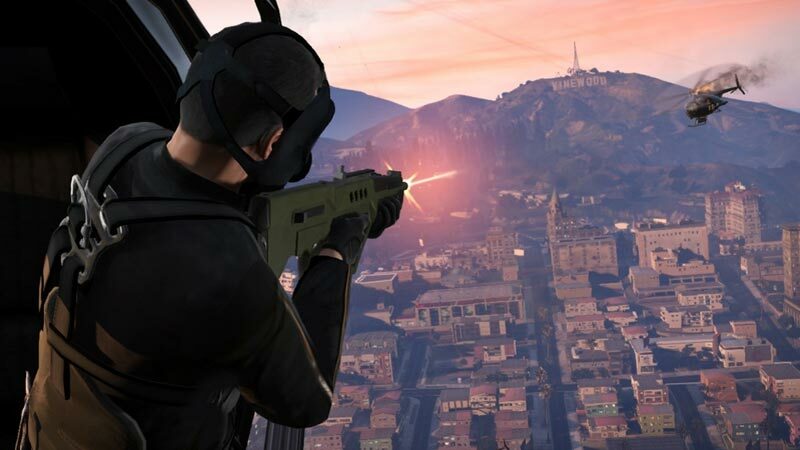 The size and ambition of GTA Online typifies the entire game. It’s huge, dense and wonderfully immersive. You will never get bored. GTA 5 is one of the best games of last generation - now it can lay claim to being one of the best of this generation, too. 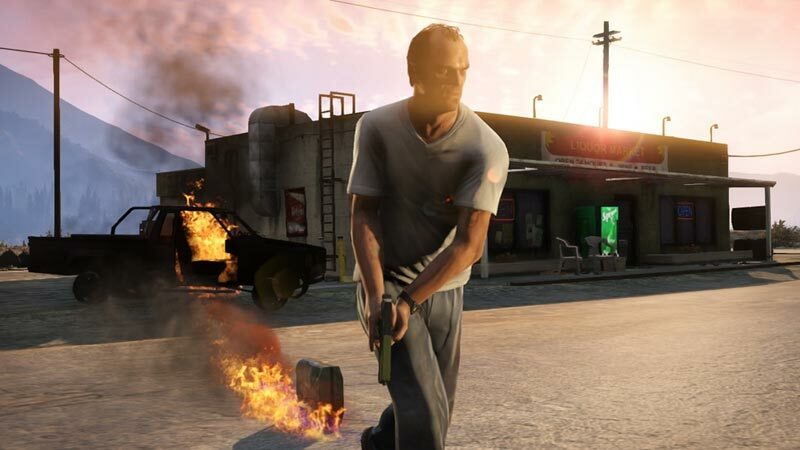 Grand Theft Auto V is a current-gen game with next-gen ambitions. There are times when Rockstar’s grandiose vision seemingly exceeds the limitations of the aged Xbox 360 hardware, and these flaws keep it from perfection, but all-in-all, it’s mind-boggling how this massive game runs so smoothly. 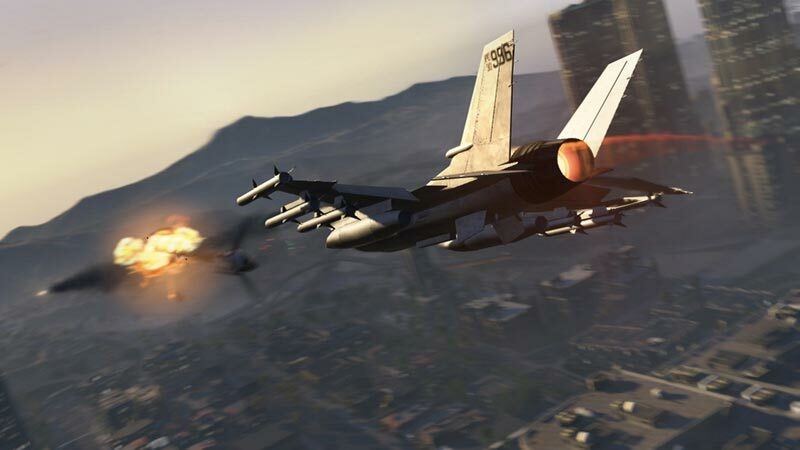 Don’t go into GTA V expecting a revolutionary experience; instead, expect a celebration of everything that made past entries in the series so special. This is a sprawling experience, offering countless activities ranging from practicing yoga to smuggling guns. Playing around in its virtual sandbox is enjoyable enough to fill five game’s worth of playtime, but ignoring all of the world’s amenities and solely playing the missions still puts countless other action games to shame. More still, it features arguably the best story of the series that’s greatly enhanced by the added dynamic of three contrasting protagonists. 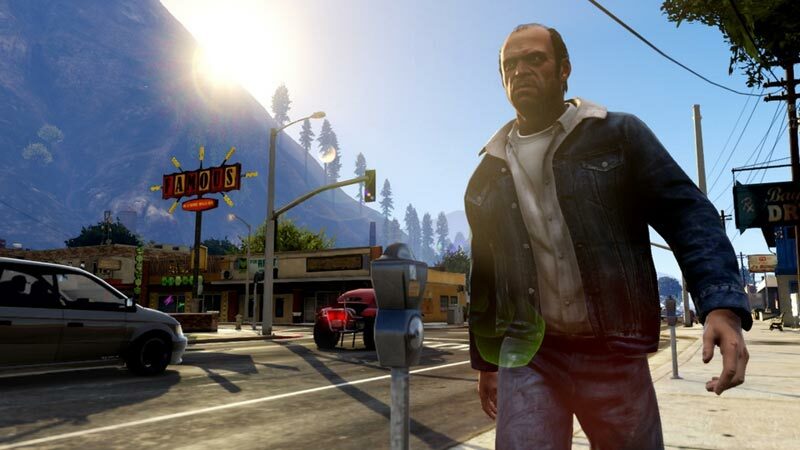 A technical achievement, GTAV's driving and shooting gameplay in an excellently crafted open world is marred by a script that presents despicable characters as the protagonists. It's certainly fun to be the bad guy sometimes, but only buy Grand Theft Auto V if you're prepared to play as characters with no justifiable motivation for doing awful things to people. Grand Theft Auto V is an almost unbelievable achievement. It's not a perfect game, as open world oddities are inevitable and the story is a bit scattered. There's no 100% guarantee of a good time, all the time, and it may only feel like a real challenge in its most important moments. But GTA5 always seems to give you something new to experience, and when you complete the campaign you'll realize the game only asked you to engage with around half of it. Grand Theft Auto V is not only a preposterously enjoyable video game, but also an intelligent and sharp-tongued satire of contemporary America. 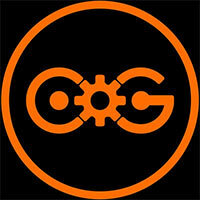 It represents a refinement of everything that GTA IV brought to the table five years ago. It’s technically more accomplished in every conceivable way, but it’s also tremendously ambitious in its own right. No other world in video games comes close to this in size or scope, and there is sharp intelligence behind its sense of humour and gift for mayhem. So overall Grand Theft Auto V is a stunning game that will keep you entertained for hours, hell, even attempting to walk from one end of the map to the other is going to kill several hours due to the size of it. From the sprawling metropolis of Los Santos to the deserts of Blaine County filled with trailer parks and assorted white trash. But as a single-player offering, and pretty much at the end of the current-generation to boot, GTA V couldn’t have more to offer. Even if multiplayer doesn’t stack up (and that’s a big “if”), the game is still worth the investment. Heists alone are value for money, and make the multi-character swap-on-the-fly aspect an enjoyable and rewarding one through the aforementioned skill and abilities aspects of the main characters. Todo ha sido cuidado con excelsa atención al detalle. Buscando mejorar lo mejorable, innovar cuando se ha visto la posibilidad y siempre sin tomar atajos, sin omitir nada. Es el videojuego más caro que se ha hecho nunca, y se nota. Pero si Rockstar cuenta con esos recursos es porque se lo ha ganado a pulso, porque los vale y porque los aprovechan como nadie. Hasta el último dólar que se puedan haber gastado en esta super producción ha merecido la pena y ha servido para crear detalles que otros estudios no podrían incorporar aunque gozaran de los mismos recursos. 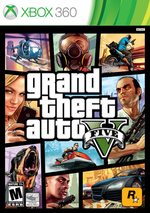 Grand Theft Auto 5 ist ein actionlastiger Themenpark, wie es ihn als Open-World-Spiel bislang noch nicht gab. Die Kulisse führt die Konsolen zwar an ihre Grenzen und zeigt immer wieder Probleme mit Kanten, stabiler Bildrate oder kleinen Bugs, doch wenn es darauf ankommt, passt alles. Das Ergebnis ist eine lebendige Stadt mit teilweise Atem beraubenden Landschaften, deren Geschichtchen die Glitzer- und Glamour-Welt Hollywoods ebenso bitterböse und unterhaltsam karikiert wie den amerikanischen Way of Life. GTA V è il gioco che volevate e la buona notizia è che è all'altezza dell'hype smisurato che lo ha preceduto. Se invece fate parte dei detrattori del free-roaming, tenete presente che il gioco funziona alla grande anche se vissuto come una sequenza più o meno lineare di missioni principali e che in ogni caso la qualità del lavoro di Rockstar potrebbe farvi cambiare idea. 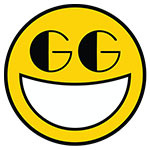 Una grande generazione come quella di Xbox 360 e PS3 non poteva avere un canto del cigno migliore di questo. Dieci. Dieci e lode a Rockstar.